Believe it or not, I've yet to make it to Blues & Brews in downtown Akron - but this is the year I plan to rectify that mistake and enjoy some of the 200 beers from 80 brewers that will be featured. 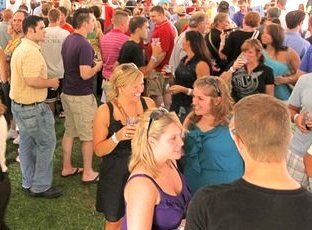 Now in it's ninth year, the beer celebration is one of the biggest beer fests in the state, attracting a number of brewers from across the country and even further. 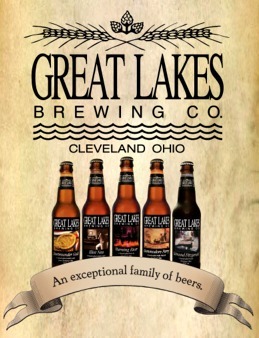 In addition to Ohio regulars such as Great Lakes, Hoppin’ Frog, Cornerstone, Buckeye, Willoughby, and Fat Head’s, Blues & Brews also will feature a number of other other new breweries like Millersburg Brewing from Millersburg, Portside Distillery from Cleveland, 50 West Brewing from Cincinnati and Listermann Brewing from Cincinnati. 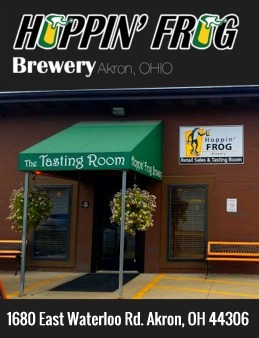 Sponsored by Acme Fresh Markets, The Winking Lizard and Thirsty Dog Brewing, the event promises to be the highlight of the Beer Year in Akron and hop-fully the weather will hold out. The event runs from 2 to 6 p.m. General admission tickets are $35 in advance or $40 at the gate. Brewer’s Circle tickets, which allow you into the event at noon and include special beers and food, are $55 in advance or $60 at the door. Live music will be provided by Freddie Salem & Lonewolf, The Billie Smith Band and The Juke Hounds.